According to IBOPE Nielsen Online, 63.5 million Brazilians have access to the Internet at home or at work, the local media reports. That’s about a third of a total population of around 192 million. These figures refer to the month of November, and represent a 3.7% increase compared to the previous month. While penetration is still low compared to other countries, that’s also a 17% year-on-year increase, showing that Brazil is narrowing the gap. As we reported, this trend is common to the whole Latin American region, where Internet penetration is growing faster than the global average. It’s also worth noting that Brazilians can also access the Internet elsewhere than at home or at work, for instance in the country’s numerous cyber cafés, known as LAN houses (see our previous story). When taking the full universe into account, 78.5 million Brazilians had access to the Internet during the third quarter of 2011. Conversely, having a connection isn’t the same as using it, and only 48 million Brazilians used their home or work connection in November, IBOPE Nielsen Online found out. Yet, this is still 10% more than in 2010. Home users represent the largest share of active users; 39.2m used their connection in November, a 2.9% increase compared to October. 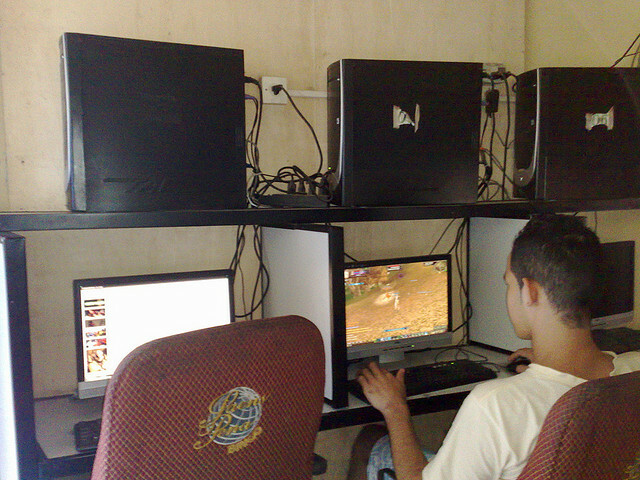 According to the study’s findings, 60 million Brazilians live in a home where there at least one Internet-connected computer. So what kind of content do Brazilians browse? Apparently, they use their computer to find a new one: the Computers and Electronics segment grew 2.8% month-on-month. Two other categories grew even faster: Travel, with 3.4%, and Cars, with 3.9%. This can be interpreted as one more sign of the Brazilian consumption boom, driven by a new middle class which recently left poverty and eager to acquire material goods.